The Journal of Historical Geography awards an annual prize to the author of the best paper published in the journal during the previous twelve months. The prize is intended to encourage, celebrate and recognize high-quality work published in the field of historical geography. 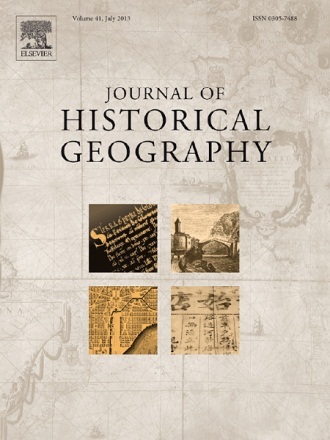 Beginning in 2013, the JHG Prize is awarded to the paper judged by the editors and members of the international advisory board to have made the greatest contribution to the advancement of scholarship in historical geography in the previous year, primarily on the basis of the significance and originality of the research but also taking into account the career stage of the author. The award consists of a £250 prize. All papers published in the journal will automatically be eligible for the award of the prize, and there is no additional application procedure. The decision will be made by the editors, in association with members of the editorial board.